I was asked if I wanted to make a book and I love books and making books so I agreed. I ran through various options of what to do with this opportunity and came up with the idea of showing someone else’s work. It seems to contradict the structure of “1 artist, 1 concept” book series, but they let me do it anyway. 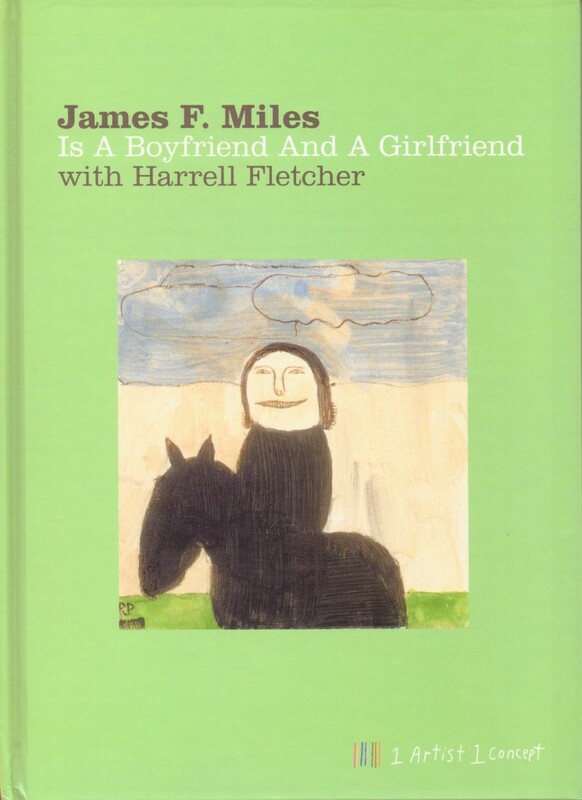 I guess my concept is making available the work of one of my favorite artists, James Miles. James’ work stood out from the moment I saw it, and has been compelling me ever since. His drawings are very everyday and incredibly mysterious at the same time. James operates on another level from anyone I’ve ever encountered–almost as if he is physically in this universe but perceiving several others that are undetectable. The results are poignant, funny, disturbing, and generally stunning.